I also hope that the new editor will continue my tradition of not placing any page limitations on what is published in its pages as most of us have important articles which deserve to be published but cannot easily find a home for them because of the obsession among most publishers and their academic journals to publish rather brief pieces due to the fact that, as far as has been explained to me by some academic publishing editors, publishers are paid among other factors by the number of articles per journal volume sold. Given this fact, it behooves publishers to have published in their journals a greater number of brief articles than lengthy ones, no matter how much this adversely effects the publication of excellent lengthy articles or the quality of published research generally. The Journal of Ethics should continue to serve the philosophy community of ethicists by remaining open to publishing high quality work no matter what its length as this is yet one more distinctive feature of the journal. 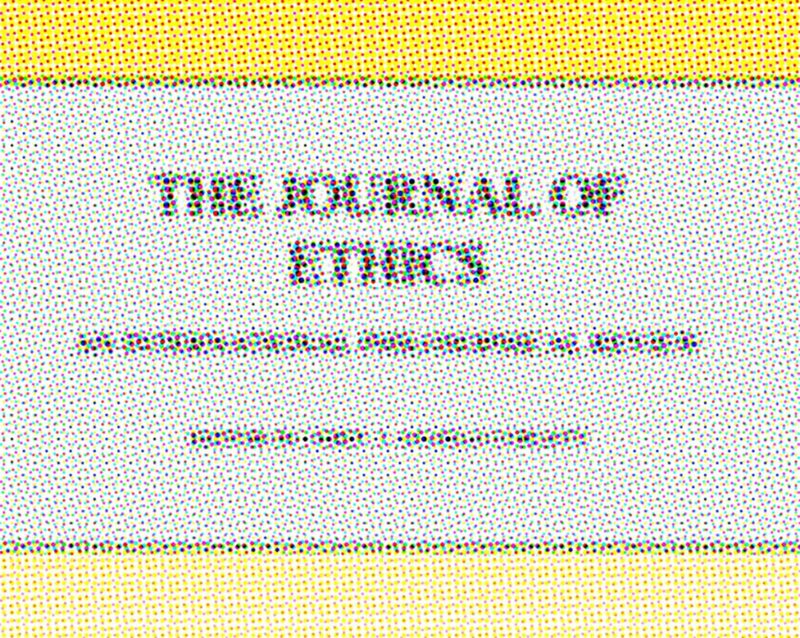 And it should not hesitate to publish high quality philosophical papers which go against the grain of mainstream ethics, though it is increasingly difficult to procure suitable referees in various areas of ethics due to entrenched biases among ethicists. This journal must continue to stand with Plato’s Socrates who urges us to follow the arguments wherever they lead us. I am confident that Socrates means for this injunction to be construed in a non-partisan manner. Equally as important is that I wish the new editor the best of skill, dedication and luck and encourage him or her to edit with moral integrity and to attempt as I did to treat authors as s/he would like to be treated. Authors ought to be treated with dignity, respect, justly and fairly. And when errors are made, it is the duty of the Editor-in-Chief to take ultimate responsibility (with an attitude of taking strict liability) for the errors and to do all s/he can to correct them as quickly and as well as possible, providing authors with as much autonomy and authority in the process and as is possible under the circumstances. I have attempted to do this since 1995. It is the very least that an academic editor can do out of respect to authors, the journal s/he edits, and to the academic profession as a whole. The whole editorial is here. Professor Corlett will continue to be listed as the journal’s Founding Editor. To my knowledge, a new editor-in-chief has not yet been named.